Normally I avoid posting about projects I'm involved in, but Doug Doug Goose Caboose is a design that I'm incredibly proud of, and that comes from a place of love for the gaming community. 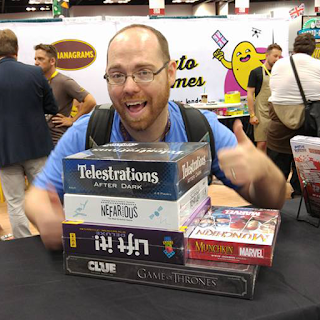 I've spent 5 years hosting Nerd Night parties in Chicago, Dallas, Fort Worth, and at Gen Con, Metatopia, and BGG.Con. Something I've seen consistently is a tendency for folks to forget the names of the people around them, and in doing so, socially disengage a bit, as it's awkward to ask somebody for their name once you've already heard it. Even though ALL of us forget names, there's still a social stigma that says "you're a bad person if you forget somebody's name after you've been introduced." To that point, we use nametags at our Nerd Night events, but that's not always possible at game nights, or in social groups, or at church or work or in a youth group. Doug Doug Goose Caboose is a game designed to reinforce the names of the people in your group in such a way that they'll stick with you much longer than a simple introduction might provide. If this sounds interesting, please click the widget below and check out the campaign. If you're interested in the story of how DDGC came to exist, plus muppets explaining how to play, click for more! This week I played The Networks, Mexica, more Mechs vs. Minions, a bunch of party games, and jumped back into mobile gaming with the Star Realms iOS app! Trick-taking games are straightforward: win as many tricks as you can, keep your opponents from winning tricks, and be sure that you keep control of the lead to make sure that happens. While there are roadblocks that other players can throw in your way, the upshot of most trick-taking games is that. 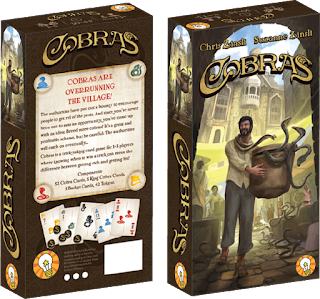 Cobras from Cardboard Edison (Suzanne & Chris Zinsli) upends those rules in ways that lead to a compelling and highly-replayable game that offers meaningful decisions throughout - and just a smidgeon of push-your-luck. 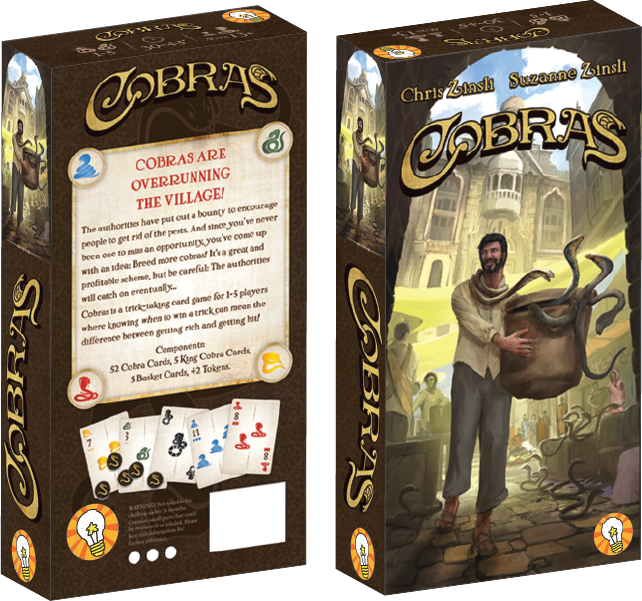 In short, Cobras claims its place in the pantheon of trick-taking games next to Mike Fitzgerald's Diamonds as my favorite trick-taking game - and one that's more welcoming for and easier to teach to new players. 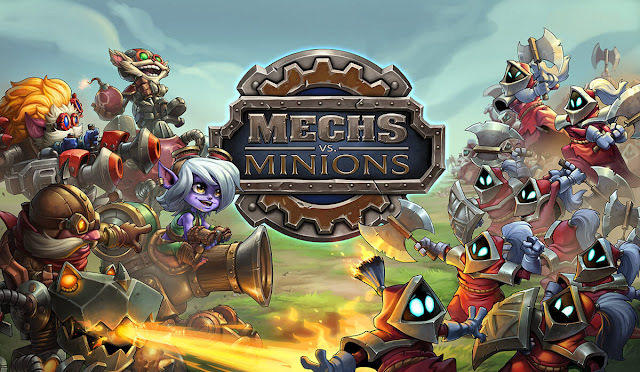 Last week I played Mechs vs. Minions, a campaign-style miniature game from Riot Games, the makers of League of Legends. Light spoilers, since everything is technically revealed during the campaign, so I cover the tutorial and the first scenario, which is much less than other reviewers have already revealed. I also played through a bit of Charterstone, an upcoming Legacy eurogame from Jamey Stegmaier and Stonemaier Games (Scythe, Viticulture, Euphoria), and it was great! I can't talk much about it since it's still in development and nothing is final, but I do give a few thoughts about the general experience. During Gen Con, I had the chance to get a second play of Ambyria from Paw-Warrior Games in at the Nerd Night event (which was amazing and everyone should come to that next year - but that’s another post). I had the added benefit of playing with Josh, one of the co-creators. In Ambyria, you and your opponents (the game plays up to 4) compete to acquire the most ember stones (victory points). Players collect these points by as gathering five cards in their “emberscape” (a set of faceup cards they place to the table, playing their effect. Last weekend Cody and I packed our bags and headed out to St. Louis for the Stonemaier Games Design Day. We played games with new friends and some folks we hadn't seen since last year's event, and had a great time trying testing our games and seeing what else our friends had. We got to try Secret Hitler, a game that's been on my radar since the successful Kickstarter earlier this year, and I am very happy to have had a chance to try it. It's been increasingly difficult to make time for writing full-length game reviews while managing all my other commitments - Nerd Night events, full-time work as a game designer and developer, spending time with Amy, and doing all the other things that seem to take up my free time. I still play a TON of games (just scroll down and look at the right side of the screen to see the last 20 games I've played), and I still love talking about them - I just have less time to write than I would like. With that in mind, I've started a new weekly podcast, aptly named 'JR Plays', in which I'll talk about all the games I've played each week. Sometimes I'll go into detail, and sometimes I'll skim over things that weren't particularly interesting, but I'll definitely have something to say about each of them. Please click the link for whichever service you use to listen to podcasts and subscribe. I'd love to keep filling your mind with my thoughts about games, and of course, I really appreciate your taking the time to stop by and lend me your eyes, or ears, or I suppose your fingertips possibly? We'll still be publishing reviews at The Nerds' Table, so don't fret - tune in for more soon!